Most casinos talk about winning. Chips in the air, girls in sequins, frozen moments. We focused on the rush of the game itself for San Manuel Indian Bingo and Casino. 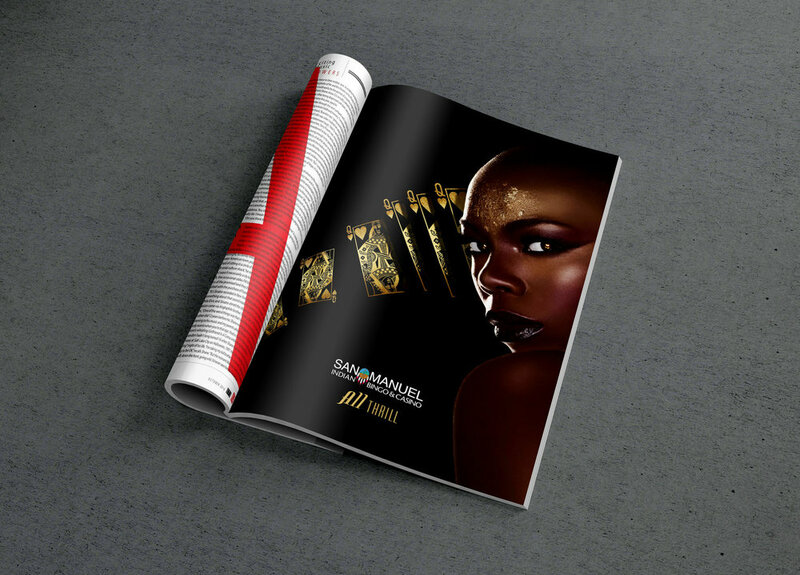 We created an iconic look and feel for San Manuel that is still in play today at the casino. Since the launch of the campaign, the owners have seen a big uptick in the number of visitors to the casino. We were tasked with the awesome opportunity to help bring "ALL THRILL" to life within the Casino. So the creative team - Jake Matthews and David Dubois - decided to create life size installations of the most iconic elements from the Anthem TV spot. They built the Card Bear and our very own, custom Café Racer. 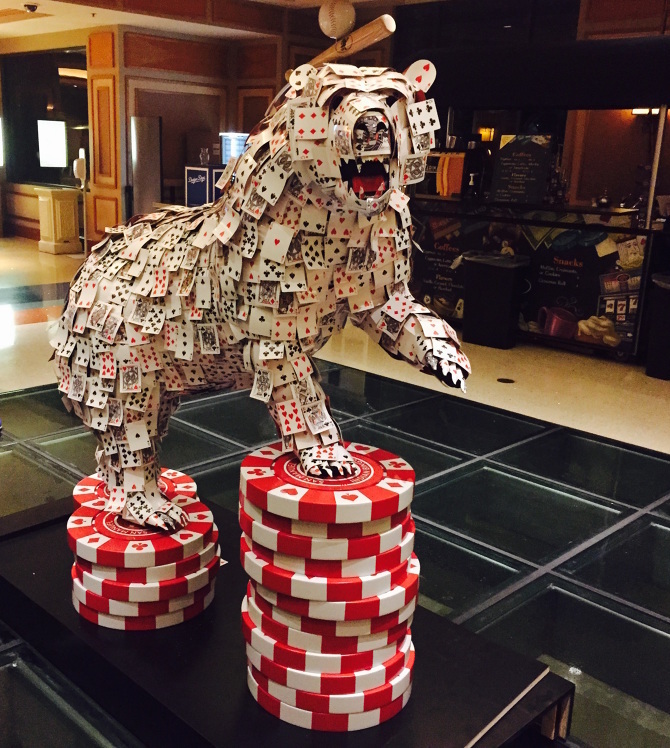 The installations are currently on display in the Casino.